Well, that was harsh! I haven’t been to a Johnny Rockets in maybe 10 years — entirely because I lived nowhere near one — but from what I can remember, it was pretty damn great for a chain restaurant. The burgers were decent, the onion rings were spectacular and, best of all, they made a serious chocolate malted. 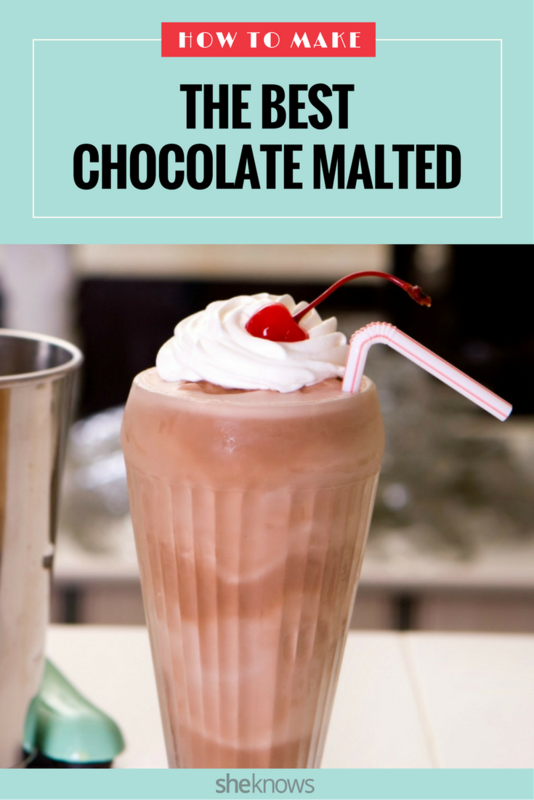 I am an aficionado of sorts on chocolate malteds, with few I’ve tried up to my standard, yet even under my intense scrutiny, Johnny Rockets’ held up. They were thick, didn’t skimp on the malt and came in a tall, frosted glass with the metal blender cup full of leftovers served alongside. They were indeed nowhere close to the “crap” Bourdain described. Put chocolate ice cream into a blender. Add a huge scoop of malted milk powder. Horlicks is best, but I would never turn my nose up at Carnation or Ovaltine. Add another scoop of malt powder, because I guarantee you didn’t add enough. Pour in milk, covering the ice cream by about an inch. Blend the bejesus out of it. It needs to get through a straw. If I wanted to bring a spoon into this situation, I would have ordered a sundae. Taste to make sure there’s enough malt. I ordered a damn malted, paid the dollar upcharge for it and then another dollar for extra malt because I don’t trust you to not screw this up. If this is not perfect, I will most definitely spend the rest of my life bitching about it to every single person I encounter, because I feel this is an important public service. If there is extra, serve it on the side. Do not pour it into the trash in front of me. You are wasting good ice cream. You are also insulting not only me by letting me know the malted is better off in the trash than in my stomach but the ice cream too as a spiritual entity. Bourdain is a man in the know, so surely he feels my pain in this situation. Then why the very public takedown of one of the malted community’s only proper chain restaurant outlets? Why jeopardize its business and potentially leave us in a world where we should suffer nothing but the horrors of Chocolate Frostys? Was there something rotten in the state of Johnny Rockets? I had no choice but to put on my reporter hat do some very serious and very important investigative journalism. The place was appropriately kitschy, with older ladies waiting on us and calling us “hon” and “sweetie pie.” I was grateful they didn’t do any of the singing or dancing I recalled Johnny Rockets had — not because I doubted their talent, but because I have a mild phobia of singing-and-dancing servers. You know that terrible, sinking feeling you get in the pit of your stomach when you’re embarrassed for someone else? You want nothing more than to reach out and grab them out of their personal hell, from the sheer indignity of being forced by their employer to jump onto a counter and do the Electric Slide while a room full of strangers looks on, begging you with their eyes to stop. I’d say that’s worse than being embarrassed yourself. It’s probably in the top 10 worst emotions ever. If abolishing this practice is one of the changes the Johnny Rockets corporation has made in the decade since my last visit, then kudos to them! You know what doesn’t get kudos though? Its abomination of a chocolate malted. Johnny Rockets, what have you done? You had an item of beauty, of near perfection, and you’ve destroyed it. Gone is the chocolate ice cream, replaced by artificial-tasting vanilla and chocolate syrup. This is not even a basic chocolate milkshake — it is a Brown Cow. At the core of its being, it is very, very wrong. Also gone: the malt. And I saw the malt! I saw a big ol’ tin of Carnation Malted Milk powder on the counter, which I can only assume is now just for show and filled with the spare change and errant sewing supplies that always mysteriously end up inhabiting empty tins. Johnny Rockets, I am begging you: Please bring back your original recipe. 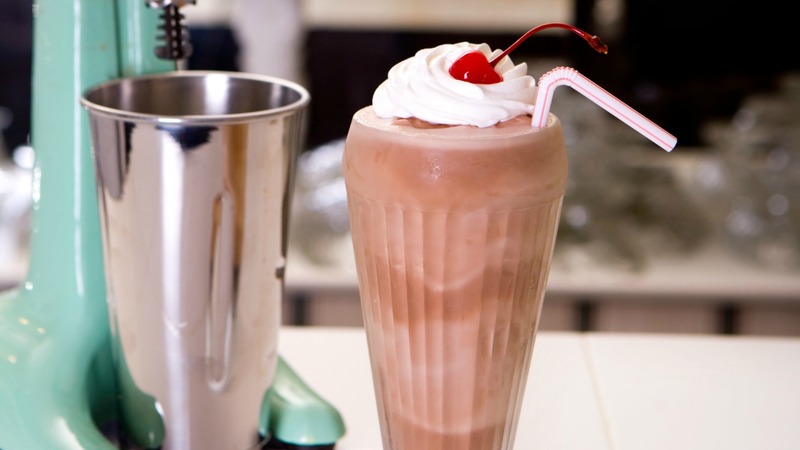 Restore your chocolate malteds — and your milkshake menu as a whole — to its former excellence. 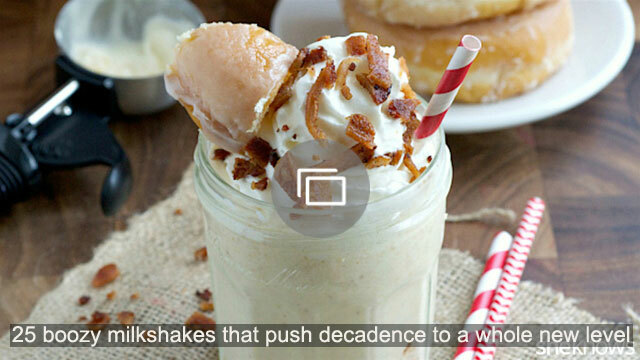 Where you had once been a titan — dare I say, the standard — of the milkshake industry, you have fallen far. You have broken my heart, Anthony Bourdain’s heart and who knows how many millions more. Please, for the good of humanity, bring back our milkshakes. We have seen your gift, and we know you still have it in you.